My love affair with farmer's markets began in 2015, back when I was commuting daily from my parent's house in north Jersey to work in SoHo. When you're a commuter, it's very easy to feel like most of your day is wasted waiting – for stoplights, trains, and buses – so on, and so forth. You begin your day in darkness and settle down in darkness, and it becomes hard to remember what it feels like to savor the daylight. It can take a huge toll on a person. I remember this day in 2015 so clearly because it didn't involve heavy traffic and droves of people like most days normally did. It was Good Friday, and with so many companies and schools off, my commute wound up being a quick 25-minutes rather than the usual hour and change. I remember breezing through the tunnel and praying it wasn't a joke. But it wasn't, and the sun was out and the air had that bounce it tends to have on those early days of spring. I had an hour to kill before I needed to be in the office, and so I decided to walk from 42nd street to Soho – and that walk honestly changed my life. I felt for the first time in a while that my morning had meaning. 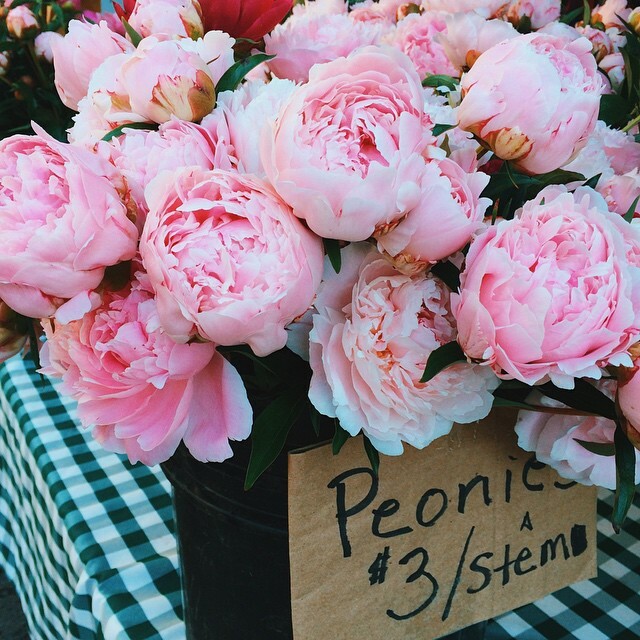 I hustled through midtown, strolled down the flower district, navigated the intersections of Flatiron, and finally stumbled upon my mecca – the Union Square Greenmarket. I took it all in – flower vendors and raw honey stands; local cheese and tubs of pickles; fresh seafood and even fresher baked breads. It made me deeply regret every time I went to a Gristedes or Key Food. New York had been my home for four years in college but I never managed to do more than find bars with decent happy hours and spend lazy hungover days in Central Park – I realize that's pretty horrible. So discovering the greenmarket made me feel like I was birthed into this wiser kind of New Yorker – the kind that knew the wonder of peaceful, quiet streets only promised to those that wake up early enough to know they exist. From that day forward, I made it a point to go to the greenmarket as many days as I could. I got up at daybreak to take an earlier bus in, hopped on the train to Union Square, and indulged in the market for as long as I could. Some days I brought home new succulents and plants, some days I grabbed a knish for breakfast. I began to learn the seasonality of ranunculus and peonies, snap dragons and sunflowers. I gained this knowledge I would never learn from school or a meeting at work. It became my little secret – my favorite hobby I shared with myself – and it gave me that much needed fulfillment that somehow proved the commute was worth it. I got to spend this early morning time with the city that most people took for granted – or didn't even know existed at all. How lucky was I? Eventually, I moved out of my parents home and into an apartment in Brooklyn. And while there was no more commute to complain about, I secretly missed those early mornings at the market. My neighborhood, Park Slope, has two farmer's markets that happen every weekend, and while I love them and frequent them – I mean, I have lamb and goat cheese guys – it will never have my heart the way Union Square does on a crisp Wednesday morning. Whenever I travel, I make it a point to find the local farmer's market in every city. You can learn so much about a place by it's local farmer's market – the people, the foods, and the culture. You can even learn a little bit about yourself there, too. But no matter where I am – be it Silverlake, the Hudson Valley, or Rome – I'm transported right back, wide-eyed in Union Square, beating against pedestrian traffic, in awe of it all. You can find a round-up of my farmer's markets photos here.